You are probably trying to figure out what ketoconazole is? I know it sounds like some kind of nuclear experiment which shouldn’t go near your hair. Or perhaps it is a combination of the keto diet in shampoo form? Well, it is neither. Ketoconazole is an anti-fungal medication which comes in many forms, such as tablets, creams, and shampoo. The ketoconazole shampoo is used to treat fungal and yeast skin conditions on the scalp. Some common conditions caused by fungus or yeast build up to include, dandruff, psoriasis or eczema. If you suffer from the dry or flaky scalp it could possibly be caused by one of these fungal or yeast infections. If this is the case, be sure to consult a doctor to get a professional opinion. You may then be prescribed a ketoconazole shampoo or advised to use one of the many over the counter brands. The ketoconazole shampoo contain less than or equal to 1% of the ketoconazole medication, whereas the prescribed one contains 2% of the ketoconazole medication. Ketoconazole shampoo is not only good for scalp conditions, but it has also been discovered that it may aide in promoting hair growth and preventing hair loss. If using a ketoconazole product you should expect to see results in a time frame of 2 weeks to a month. If you feel the product is not helping your condition, check this with your doctor and they may recommend a higher dose or different product. The ketoconazole works by damaging or eliminating the cell membrane of the fungus or yeast infection. This stops the fungus from growing and spreading, returning your scalp back to its natural healthy state. Like many products today there is such a wide variety on the market. Which is the best ketoconazole shampoo for you? We’ve rounded up 8 of the best ketoconazole products here for you. Have a read through and find out which product will best suit your scalp and individual needs. 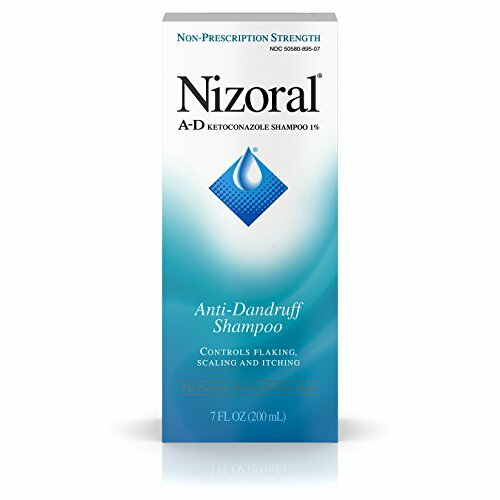 The Nizoral A-D Anti-Dandruff Shampoo is one of the most commonly found over the counter ketoconazole shampoos. This is a non-prescription shampoo which means it has 1% of ketoconazole in it. The Nizoral A-D Anti-Dandruff shampoo is perfect if you are suffering from flaking, scaly scalp and itching. All of these symptoms are associated with dandruff. Dandruff is caused by a naturally occurring fungus on our scalps known as pityrosporum ovale, which sounds like a spell from Harry Potter, but is just a nuisance for our scalps. Due to many lifestyle factors such as diet, hormones and stress our bodies react differently to the naturally occurring fungus, often causing it to dry skin out, inflame it or cause itchiness. Nizoral A-D Dandruff Shampoo works to eliminate the fungus in order to control the condition of your scalp and restore it back to its healthy balance. The shampoo has a clean smell and it doesn’t give you the idea that you’re using a medicated shampoo, which is great. This product can be used with any conditioner of your choice. As it is treating the scalp you do not need to use a huge amount, use enough to rub thoroughly into your scalp, and less so on your hair strands. Condition the hair strands after, making sure to rinse all conditioner from hair so you don’t irritate your scalp with other product. The Nizoral is perfect because it does not replace your beloved shampoo,advise but simply works alongside it. The Nizoraladvisesto only use the shampoo twice a week and your ordinary shampoo for your other washes. This shampoo is affordable, accessible and very effective for dandruff-prone hair. The Wick & Strom brand is a made in America brand with some amazing ingredients. 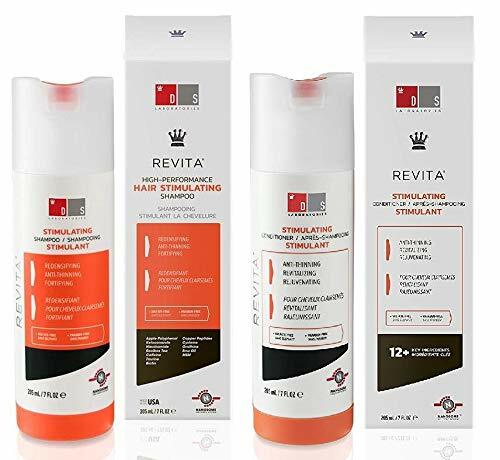 This is an anti-hair loss shampoo, to prevent your hair from thinning and falling out, as well as rejuvenating hair growth to improve thickness and fullness. The first thing which stood out for us was that the Wick & Strom anti-hair loss product does not contain any minoxidil. Minoxidil is a medication often used to treat hair loss, but it has been said to be harmful and have serious side effects. Wick & Strom have combined some fantastic ingredients here to ensure you have a premium anti-hair loss shampoo. This shampoo contains caffeine, biotin, saw palmetto, aloe, and ketoconazole (0.01%). All these ingredients work harmoniously to prevent future hair loss, thicken and strengthen the root, and clear blocked follicles to encourage growth. The caffeine works similarly to our morning cup of coffee, as a pick me up for your hair, to stimulate growth. The biotin is a vitamin in the B-complex family which maintains and develops strength in your hair strand and root. Many of you may be familiar with saw palmetto supplement, it is used as a dihydrotestosterone (DHT) blocker. DHT is a hormone which has been known to contribute to balding. The Wick & Strom shampoo contains saw palmetto which works to block an excess of the DHT, hindering further hair loss in the future. The aloe works to clean the follicles and roots and finally the small percentage of ketoconazole (0.01%) keeps the scalp clear of fungal or yeast related infections. Wick & Strom have produced a great premium product here, with some integral ingredients. They are so confident with their product that they offer a full refund if you feel no difference after 60 days. The Ultrax Labs Hair Surge for hair loss is a caffeine strong ingredient shampoo. Although it does contain a small percentage of ketoconazole and saw palmetto, this product is focused on the use of caffeine in order to reduce hair loss and stimulate growth, while the saw palmetto blocks DHT and the ketoconazole keeps your scalp healthy. Ultrax Labs Hair Surge is a topical shampoo, due to the active ingredient of the ketoconazole, because there is less than 1% of ketoconazole in the product you are able to purchase it over the counter. The ketoconazole works with the caffeine and essential oils to promote regrowth and strengthen hair from the root. The brand asks users to use the product as least five times a week, which is a lot of washing and depending on your hair type may dry out your scalp. If you normally wash this often then your scalp is more than likely used to that frequency, so it should be fine. Otherwise use this product in place of your regular shampoo and stick to your regular wash schedule, if you don’t wash as often a five times a week. 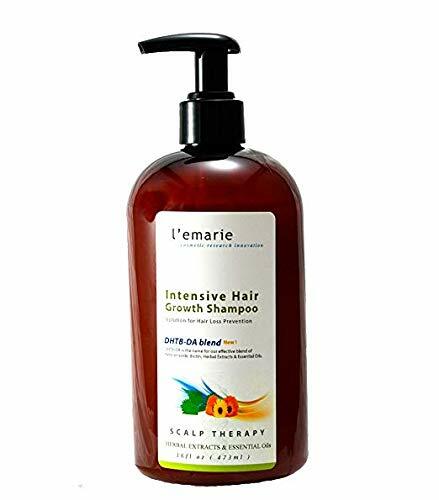 The other fantastic thing about this product is they don’t only have a shampoo, but they offer a full range of hair growth products including, a conditioner, daily supplements, a serum, and a hair mask. This is great as many users make it clear that hair growth success it not only down to a good shampoo, but a full routine from diet to shampoos, the daily supplement is really handy. This hair loss shampoo from L’emarie is not only packed full of fantastic natural ingredients, but it looks good too. With the slick and clean packaging it is difficult to not want this product on your shelf. L’emarie has brought us a hair loss shampoo with some amazing properties. It contains caffeine, herbal extracts, essential oils, Biotin, and DHT blockers. With all these wonderful ingredients it is bound to be and all-round solution for your hair loss woes. Supplying you with cleansing, protection and a hair and scalp treatment, it’s a great product coming in at a mid-level price. The way it works is first the ketoconazole and salicylic acid clears the scalp of any fungal or yeast conditions. Almost like clearing an area to plants new flowers. The DHT blockers within the product act to clear up any excess of hair loss hormones. This ensures you have a clear and healthy scalp to clear the path for brilliant hair regrowth. The additional essential oils and vitamins in the product work to keep your roots and strands strong and shining. Some of the essential oils include tea tree to moisturize the scalp, as well as pumpkin seed oil to build strong hair follicles and give your hair a healthy shine. You will also notice it contains something called Pisum Sativum (Pea) Peptide, this natural ingredient has been tested and revealed to have anti-aging and cell regenerative properties. So let your hair eat those greens for healthy results. It is advised to use this product three to four times a week, and is great for both men and women suffering from thinning, hair breakage, alopecia or other forms of hair loss. 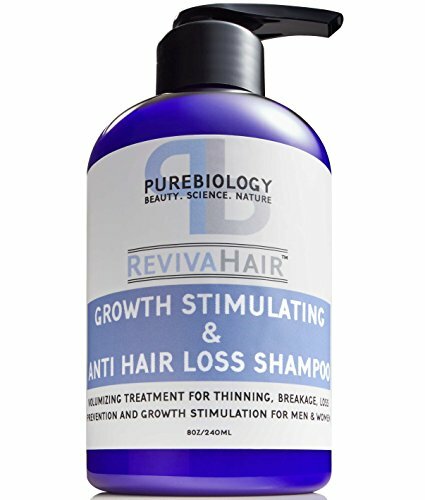 This Pure Biology Hair Growth Stimulating Shampoo is exactly what it claims to be. On the elegantly designed package you will see beauty, science, nature as a sub heading, and this is spot on. This product combines ingredients used in both science and natural extracts to create a balance of treatment for your hair loss condition. The first thing to note is that it does not contain any ketoconazole, but when looking at hair loss products it is still a great option to consider. With the scientifically balanced building block proteins, essential oils and nutrients in this product you are on route to a healthy head of hair. They focus on their biotin and keratin included in the product, both of these elements ensure the strong building of new hair. The same way a body builder will increase their amount of protein to build muscle, you will be doing this for your hair. Pure Biology claims to have proved that their 3HC component, within the biotin, is proved to reduce hair loss by 21% in just 3 weeks. As well as the amino era in the keratin will build strength by 41%. These are rather impressive figures from the brand, so I would definitely give it a try, unfortunately, there is no money back guarantee if it doesn’t work for you, but it is selling at an affordable rate so there wouldn’t be much harm in trying. The scent of the product is a lemon or citrus scent which comes from a citrus oil. Other essential oils with in the product include saw palmetto, green tea extract, and grape seed, to name a few. Going through the ingredients you will be surprised to see such a harmonious mix of natural and scientific ingredients working together. It is said to work on all types of hair and is made in the USA, which often indicates a quality brand. Although they do say all hair types there are sulphurs in this product so you may want to steer away if you have coloured hair. 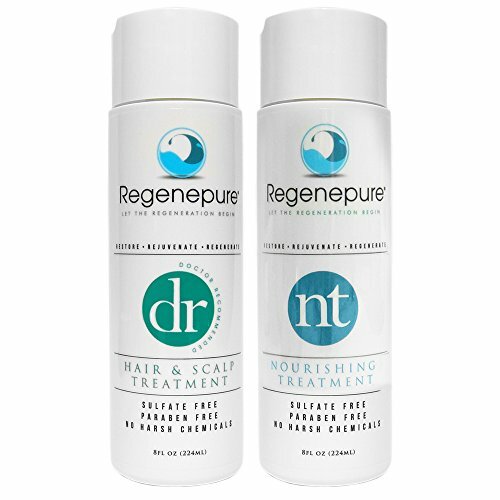 From Regenepure we have a hair loss and anti-dandruff kit. Meaning you buy two of their products for ultimate results. The products are a hair and scalp treatment and a nourishing treatment. This is a serious combo product in order to sort out an array of hair loss or scalp conditions. With 1% of ketoconazole you are sure to rid any fungal or yeast-like infections on your scalp, this treats your dandruff flakes, scales and itchy, leaving the scalp clean and healthy for new hair growth. The nourishing treatment will encourage hair growth and regrowth, through the use of stimulates such as caffeine and DHT blockers like saw palmetto. If you feel you are not yet losing your hair, but it has been a hereditary part of the family then this brand is perfect for you. They don’t only offer this combo, but they have a full range of prevention products, thinning products, and baldness products. These ranges include shampoos, treatments, and supplements. Another fantastic thing about the Regenepure range is that their products are free from sulfates, parabens and are cruelty-free too. This means they will be safe to use on any hair type, colored and grey. If you are looking for a great range for your complete hair condition needs then this is a fantastic brand to consider. Ds Lab Revita has produced a High-Performance Hair Stimulating Shampoo and Conditioner. This is a good pair to have if you are wanting to get a thicker and fuller head of hair. With the slick packaging, you get the feeling that you are indeed using a high-performance product. What makes it stimulating is the caffeine content, the hair grows out thicker and fuller from the amino acids and the proteins contained in the product. To maintain shine and protection after the wash you have various botanical and essential oils working to give your hair that healthy salon glow. Due to the fact that this product does not contain DHT blockers and various other common hair growth ingredients, it can be said to be more of a product for thickening hair or minimizing hair loss, rather than a treatment for baldness. Ds Lab Revita is a firm favorite for everyday hair treatment to gain thicker and fuller hair. They advise to use five times a week and to rinse and repeat. The bottles are said to last about 6 weeks if used as instructed. You might feel that five times a week may be harmful, but this product does not contain any sulfates, parabens or other harmful chemicals commonly found in hair care products. In this case, it is fine to use five times a week or even daily if you wish. The shampoo has a mild scent, leaving you with a fresh and clean feel. Lipogaine is offering us a completely natural, chemical free conditioner, for hair loss prevention. Hair loss prevention is a key phrase here. Do note this is not for regrowth once bald. This conditioner is more for the treatment of thinning or breakage in hair. From too much heat, coloring or chemical treatments hair can often turn out brittle and begin breaking before it’s time. We see this with split ends and breakage of strands when brushing. 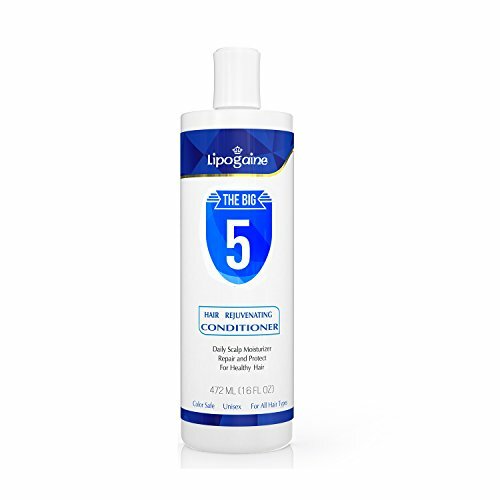 The Lipogaine Hair Loss Prevention Conditioner is perfect for treatment of premature or early signs of breakage. This completely natural conditioner is great for everyday use. It comes with argan oil for shine and repair of those nasty split ends, as well as protein strength builder keratin and aloe vera for a healthy clean and balanced scalp. Being completely natural makes this product safe for all hair types and ages. They also offer shampoo for thinning and breaking treatment. Now you know what a ketoconazole shampoo is and what it can do for you and your hair, it is up to you to choose the best product for your condition. Whether you color and style often and need to rejuvenate your hair health or you have balding in the family there is definitely a product which will work for you.